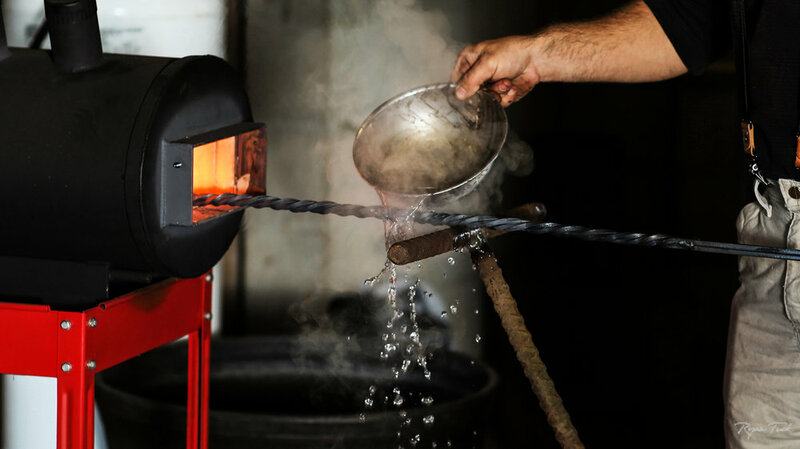 Ryan Tuck founded his blacksmith forge in 2016. Ryan Tuck is a man with deep appreciation for traditional skills and knowledge of old world craftsmanship. Working with clients to design custom pieces that are one of a kind to compliment for their homes. 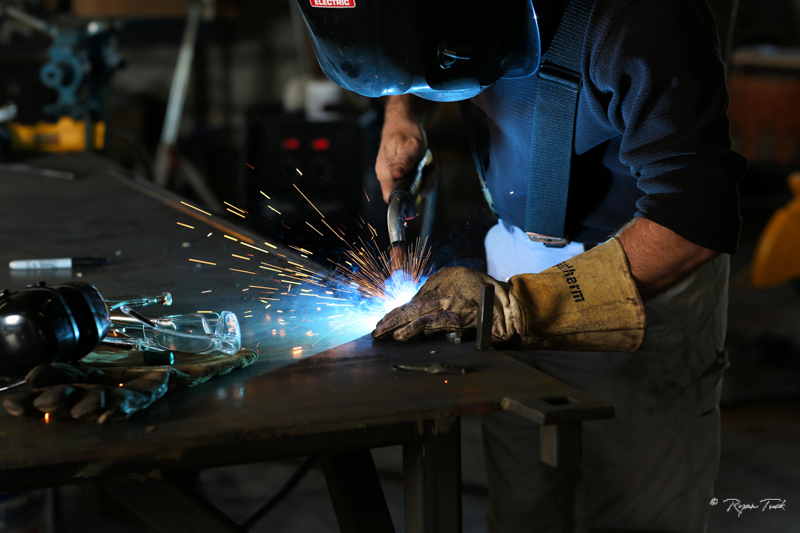 Specializing in custom hand-forged blacksmith novelties, railings, fireplace screens, fireplace doors, fenders, furniture, sculptures and home decor pieces. Known simply as "Tuck" to those close to him, he started his interest in metal forging while attending farrier school in 2000 in Clare, Michigan. The fundamental skills learned that winter developed into a keen interest for making small novelties for friends and family, as well as the confidence to learn and apply more techniques in the years to come. Always seeking mentors to aid in the progress of his craft, Tuck was introduced to Kevin Johnson, owner of "The Iron Studio" in Knoxville, Tennessee, through their mutual friend, and blacksmith, H. Kent Hepworth in 2016. 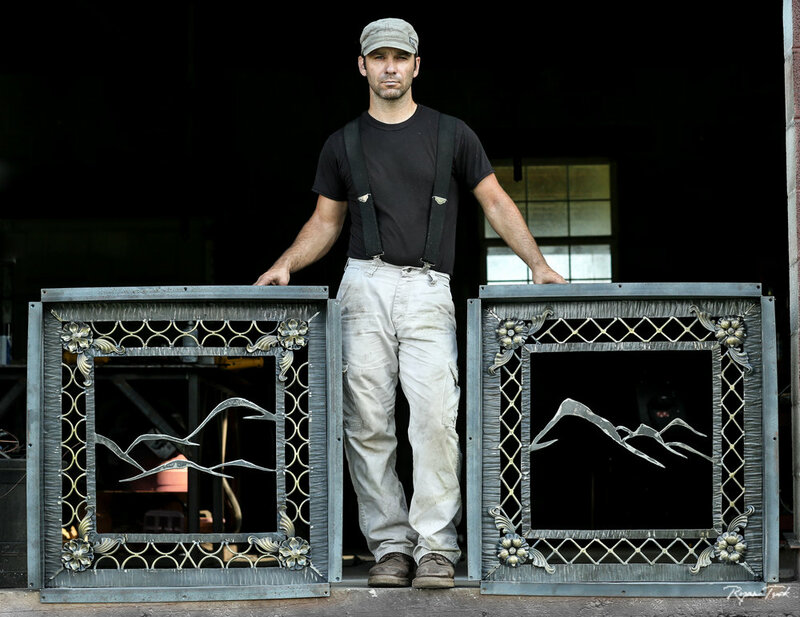 With 17 years of experience to draw on, Tuck now devotes his time and talents to his blacksmithing in an effort to bring his own personal brand of metal art into the lives of those who appreciate it. He feels extremely fortunate to be one of the blessed few who does what he loves for a living. No blacksmith job is too small, and no detail too trivial to deserve his attention to make every piece a standard of quality. Developing your dreams into a reality. fireplace accessories, Lighting fixtures, furniture, sculptures and more.